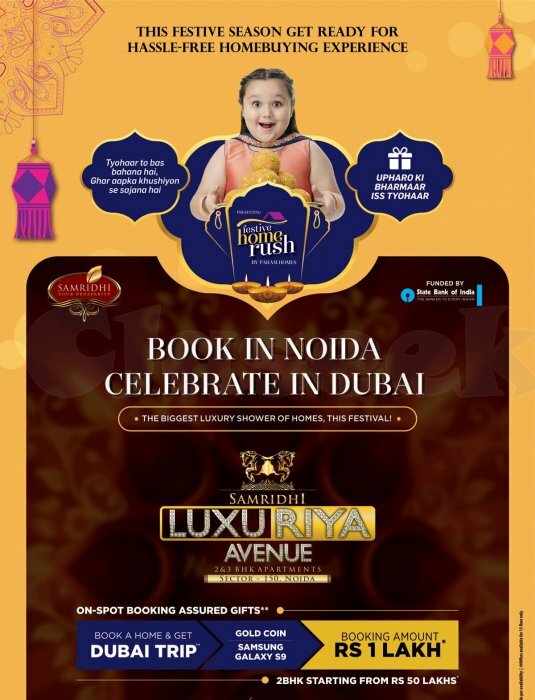 Double diwali dhamaka offer is limited period festive offer by samridhi luxuriya with luxury home offers available in entire festive season of 2018.With festive home rush offer at samridhi Luxuriya avenue. More exciting offers for homebuyers in festive season including special Diwali festive home rush offers. 2bhk apartment starting price 45.90lacs*, booking amount 1lacs* Hurry now! Only few slots left.